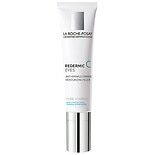 Shop La Roche-Posay Redermic C Eyes Anti Wrinkle Firming Moisturizer with Retinol (.5 oz. ).5 oz. $4500$45 and 00 cents$90.00 / oz. It's not always easy coping with sensitive skin. The symptoms of sensitive skin may depend on the person, but typically, when the skin is sensitive, it can become tight, dry, itchy and red. Applying a moisturizing cream that is safe for the eye area on a daily basis can provide tremendous relief while also improving the appearance of your skin and your eye area. Sensitivity in the eye area may develop later in life or you may face issues earlier as well. Powerful UV rays from the sun can have one of the biggest impacts on your skin, especially the delicate tissue around the eyes. Applying a gentle moisturizing eye cream with sunscreen can boost your sun protection while also delivering a healthy dose of moisture to calm and ease your skin. As we age, our skin becomes dry due to reduced natural oil secretion. This dryness can make the skin uncomfortable to the touch and may even show more wrinkles and lines. Aging itself is another key factor in the sensitivity of the skin surrounding your eyes. The advanced technology behind many beauty brands makes it easier to address those visible signs of aging, often by plumping the skin with nourishing moisturizing solutions. Rich emollient eye creams can help to fill lines and creases around the skin of the orbital eye area, subtly disguising wrinkles and taking years off the clock. Many dermatologists and beauty professionals sing the praises of a good eye cream with moisturizing properties to keep the skin in pristine condition, keeping the signs of aging at bay as long as possible. A fine quality eye cream with powerful moisturizers and the right key ingredients can also help to ward off puffiness and bagginess around and under the eyes. 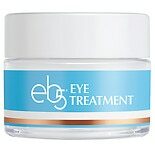 Dark circles can also be minimized with the right eye cream. When SPF15 or greater is included in your eye cream, you can rest assured you are doing your part to protect your skin from the sun's damaging rays. Many different eye cream products exist to suit all skin types and common skincare concerns. As you consider different options in moisturizing eye creams, be sure to check the ingredient lists for any known allergies or sensitivities you may have to certain components. Once you know which specific complexion concerns you wish to address, you can compare different eye creams to choose the one that best suits your needs.